A winning anonymous bidder bought 2,700 Bitcoins (worth roughly $1.6 Million) in an auction held by the United States Marshals Service (USMS) on Monday. The US government announced at the beginning of this month its plans to auction 2,719 Bitcoins that were seized during several criminal, civil and administrative cases like Silk Road. The US Marshals confirmed to CoinDesk that four bids were received in the auction that took place between 13:00 and 19:00 UTC on August 22. The majority of the Bitcoins in the auction were stemmed from investigations of the Silk Road online black marketplace. Around 1,300 Bitcoins seized from a civil case related to Matthew Gillum, a Silk Road drug dealer, who was sentenced to nine years in prison in 2015. Only 2.8 Bitcoins directly came from Silk Road founder Ross Ulbricht, who was found guilty of operating Silk Road for illegal goods and handed two life sentences. Some 65 Bitcoins came from Carl Force, a former Drug Enforcement Administration agent, who was sentenced for stealing Bitcoins during the Silk Road investigation. Around 665 Bitcoins came from the case of Sean Roberson, a Florida man who allegedly created an online shop for selling stolen credit and debit cards. The last date for registration was 18 August and only five bidders registered to claim the 2,700 BTC block, according to the agency. However, this is not the first Bitcoin auction conducted by the US Marshals Service. 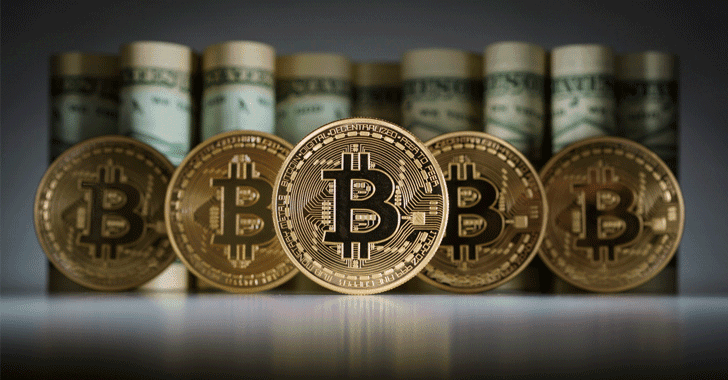 The federal law enforcement agency has been selling off Bitcoins in a series of auctions. The last USMS auction took place on November 15, when 11 bidders, including bitcoin exchange itBit, over-the-counter trading firm Cumberland Mining, and investor Tim Draper, bought 44,000 Bitcoins, worth $14.6 Million.